I’m still playing with Liquin. This was a doodle ‘painted’ in about 8 minutes. Its a reaction to the tedious paintings I’ve been doing lately and I’ve done a few which I will post in due course. The process is illustrated in the video below. Burnt Sienna and Black are the colours used, spread about with Liquin, and basically wiped off with fingers, tissue paper and a painting knife. Charcoal was used to sketch out the details. Great fun for a change. The video is speeded up to 90 seconds. Here it is. 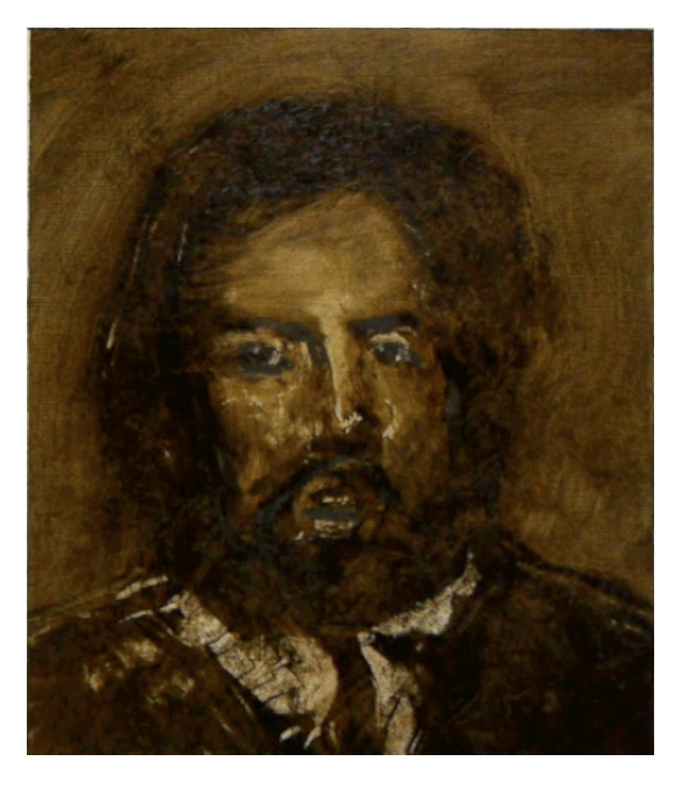 This entry was posted in Oil Painting and tagged Art, Charcoal Sketch, Culture, Education, Inspiration, Irish landscape, Oil Painting, Oil Painting Instruction, Oil Painting Landscape, painting, Portrait, Time lapse painting. Bookmark the permalink. Well, I’m not old, nor am I a master. So there! A change is as good as a rest, they say. I go through one about every six weeks. It revitalises my enthusiasm and inspiration when I alter my subject, style or medium, even if only for a day or so. Just bought myself some charcoal pencils this afternoon, in fact, for that very reason. Can’t wait to have a play with them. Good luck with the ‘playing’. I never thought about charcoal with oil what an interesting idea. I’m going to a changeup myself, stray from free form fantasy art to Flemish technique skill. I wish I could get one of the pure realism folks to do a fantasy piece alongside me to see the end results. You neevr cease to amaze me! I love how you start with just those dots and then completely cover it all in. Wonderful job! This is the coolest thing that I have seen in a while. Amazing work!